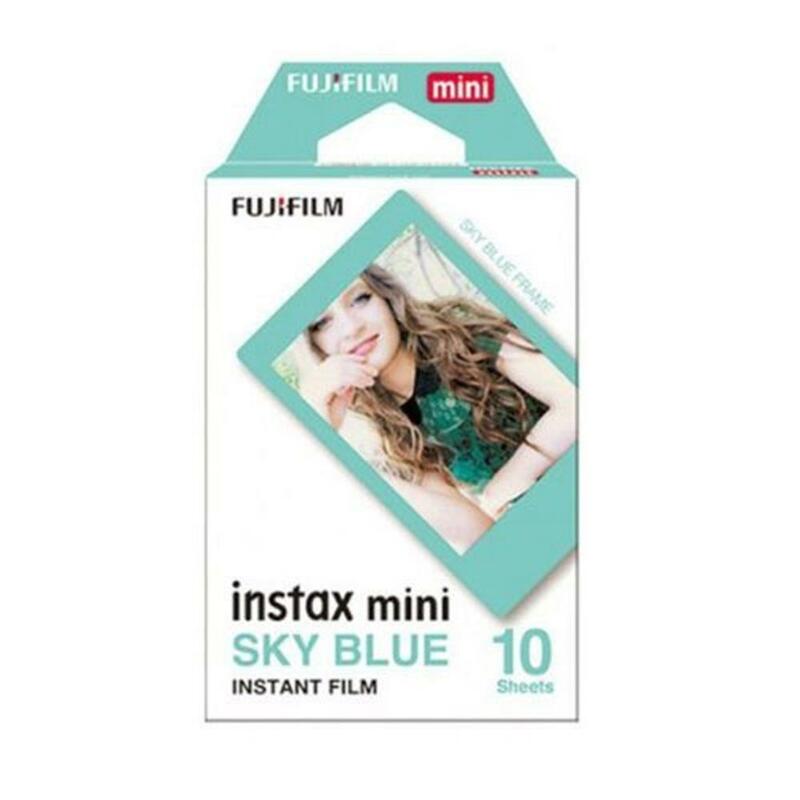 Instax Mini Sky Blue Film is for all Instax mini cameras and features a sky blue frame. It offers stunning instant pictures you can fit into a purse, wallet or mini photo frame. Instax film ensures sharp, clear reproduction, vivid colous and natural skin tones. Develops instantly - Press the shutter, capture the moment and watch the photo develop in front of your eyes! Hi-Speed ISO 800 - With superb grain quality, Instax Film ensures vibrant color and natural skin tones. Credit-card size - 5.4 x 8.6 cm (film size) ? The unique credit-card sized film is easy to carry in your purse or wallet and has white borders to frame your images. Leave them blank and personalize with a fun message. Highly Stable - The film emulsion performs at temperatures as low as 5 degrees C and as high as 40 degrees C.